One inevitable outcome of the ever-expanding number of DNA sequencing platforms is the lock-step addition of new data types. The technologies developed by Complete Genomics, Illumina, Life Tech/ABI/Ion Torrent and Pacific Biosciences produce the lion’s share of genomic data today. But Genia, GnuBio, NABsys, Oxford Nanopore and others are in the wings, poised to pile significantly more on. Every sequencing platform relies on a different technology to read the As, Ts, Cs, and Gs of a genome. This presents a number of major challenges in assembly and sequence accuracy across platforms due to varying read lengths, method-specific data generation, sequencing errors, and so forth. However, while all have their nuances, they all have potential value to the progress of life science and medical research. A complete solution to this problem would involve models for each platform, accounting for the generation and characteristics of libraries, data collection, transcript distributions, read lengths, error rates, and so on. The fact that a standard solution for integrating all these data types doesn’t currently exist is a testament to the difficulty of this task, which shouldn’t be underestimated. The solutions most commonly used today for managing this diversity of data are the products of enterprising bioinformaticians who have developed “home-brewed” applications capable of taking primary data created by the instrument and, among other tricks, performing alignments to a reference genome and/or completing assemblies. While these workarounds provide a band-aid, they are not available for all platforms, rarely scalable and take highly experienced technical users to manage. As genomic data continues its march beyond core facilities and into a broader range of research labs, healthcare organizations and, eventually, point-of-care providers, the need becomes even more acute for technologies that can — as far as the user is concerned — effortlessly perform the challenging tasks of integrating data from multiple sources for annotation and interpretation and combining them with the analysis and collaboration tools needed to glean insights. As an industry, we need to start taking a more platform-agnostic approach towards the analysis and visualization of sequencing data. This is particularly critical as new platforms enter the market, collaborations across institutions, labs and borders expand and “legacy” data is incorporated into new repositories. 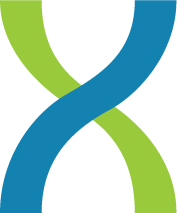 At DNAnexus, we are committed to removing the complexities inherent in working with diverse datasets so that scientists and clinicians can focus on the more impactful areas of data analysis and knowledge extraction. We are also committed to providing a secure and user-friendly online workspace where collaboration and data sharing can flourish. Stay tuned for much more on this topic and let us know about the challenges you face when working with multiple data types and what kind of datasets you’d like to see more easily integrated into your work.